This blog recounts the history of Dr. Evil Laboratories, the creator, manufacturer, and retail sales of peripherals and software for the Commodore 64, including the Imagery! adventure game system, the SID Symphony Stereo cartridge, and the Swiftlink-232 cartridge. Dr. Evil's special guest (soon to be henchman) Kyle shares a somewhat-longer list of feature requests for the adventure designer. Please add to this list via comments! Once the list is stable, we'll roll these into the same new version as for bug fixes. Provide an exit to BASIC option. Maybe also offer a reboot option to restore standard Kernal and BASIC ROMs. Change menu navigation to be cursor driven, like other two editors. Add text wrap for the description editor. Instead of exiting to BASIC, go back to the Menu program. Show a progress indicator to verify it's not frozen. Add a way to abort. Add a way to abort long processes, such as loading a library. Posted By: kentsu in Blog Dr. 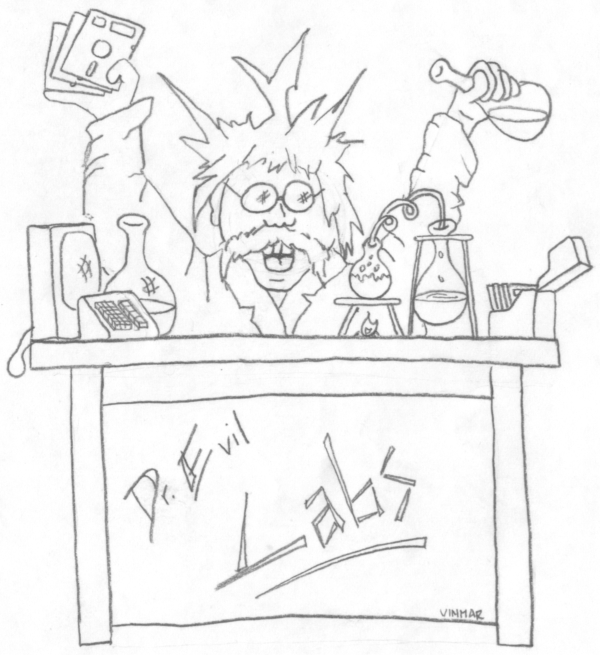 Evil Laboratories , Category: Imagery! Tags: adventure designer, adventure game, features, Imagery! Yes--all of the images are in the Public disk section. And there are direct links within the first two blog posts. Have fun! OK, I found it. Looking for the Imagery! adventure player. And I think a C-128 (80 column) version would be great. I found an 80 column toolkit called "Control-80" on an issue of LoadStar 128 (which I never realized existed til recently). Pretty neat stuff.